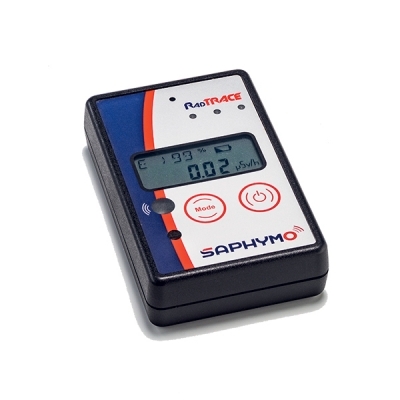 RadTRACE is a reliable dose rate meter designed to improve workers' safety when exposed to radiation. Compact, robust and easy to use, this instrument measures gamma dose and dose rate on a wide range, with a very fast response time (1 sec). Data are automatically displayed on an LCD backlit interface, using an auto scale function switching between µSv/h and mSv/h for more accuracy. Initially designed for the French Nuclear Industry, it also offers a vibration alarm and an internal memory for measurement results. The internal data storage allows record of the dose and dose rate for later readout (interval free adjustable).